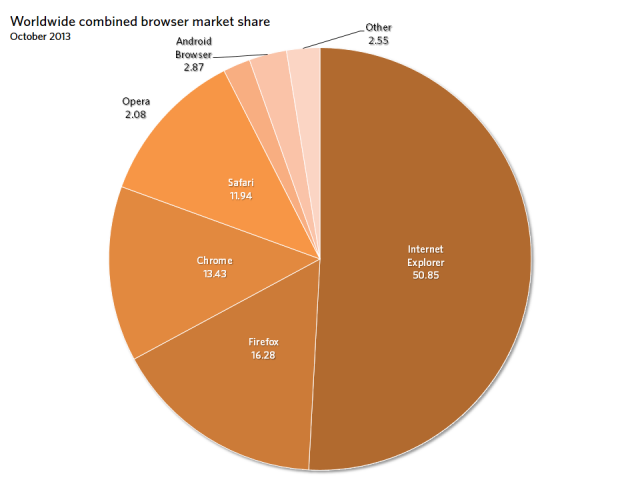 If nothing else, the browser and operating system numbers from October showed the huge behavioral differences between Mac users and Windows users. Both Microsoft and Apple released new versions of their desktop operating systems last month, with Windows 8.1 from Microsoft and OS X 10.9 Mavericks from Apple. In raw terms, Windows 8.1 already has many more users than Mavericks—about double—but as a proportion of the actual user base of the two platforms, it's the Apple software that's in the lead. 10.9 percent of Mac users are on the latest version of the operating system. Just 1.9 percent of PC users are on the newest Windows. 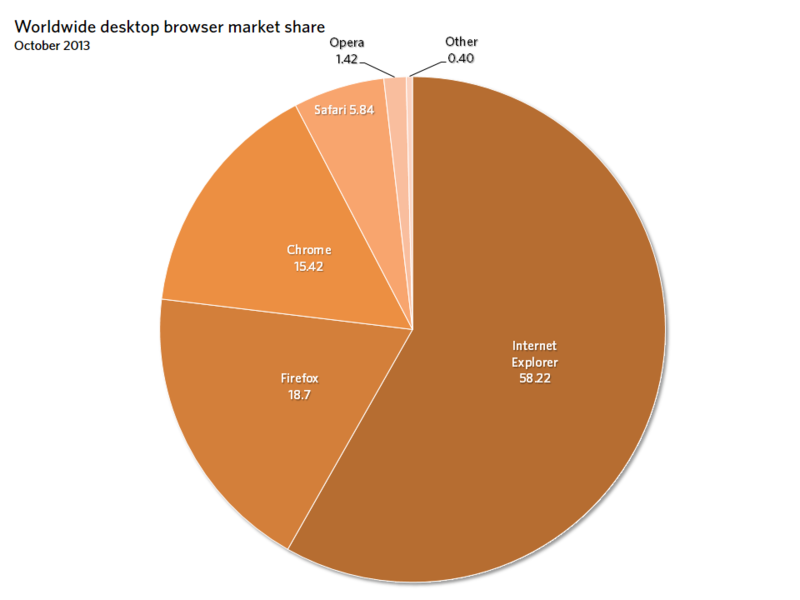 In a month that also saw Microsoft release a new version of its browser, not a great deal has changed among desktop browser preference. 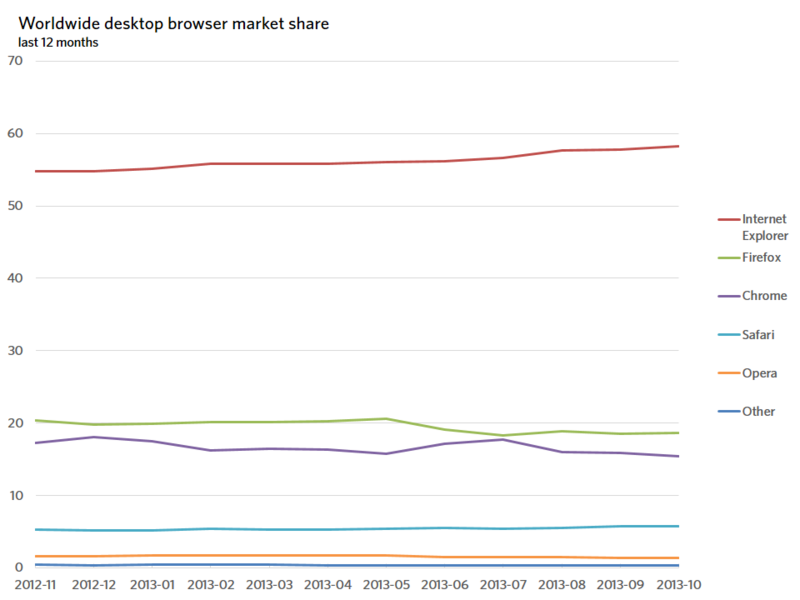 Internet Explorer picked up 0.42 points, Firefox gained 0.10 points, and Chrome dropped 0.54 points. Safari and Opera saw a gain of 0.07 and a loss of 0.05 points, respectively.